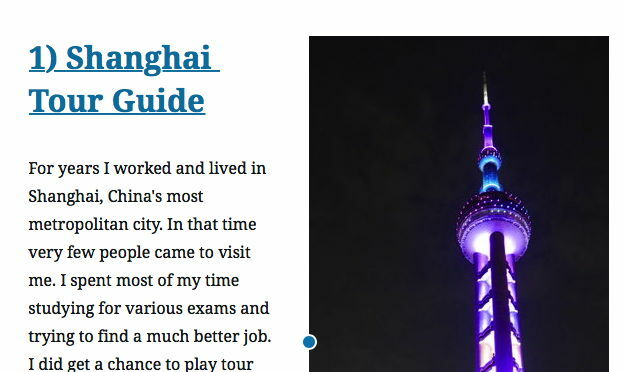 I am trying to make my first post in Gutenberg and I've discovered that aligning the image right around the blocks works in the editor but when I preview it is not floating right. And that didn't work though when I view source in the preview it should be just like before Gutenberg. Is there some theme support thing I need to add? I took screen shots as I searched too and others have had issues similar but I followed their advice and it didn't help. I also discovered you can't insert an image from a relative URL in Gutenberg. I could not link directly to my preview so I had to publish a post in a theme that clearly isn't ready for Gutenberg, but obviously my 20+ years of coding HTML is insufficient to solving this problem as clearly I have been doing other things lately than coding. Add Classic block, and insert, as the only element, a right aligned image, into that block. Add other blocks, after the Classic block. Add Image block, and add alignright class, in Advanced setting of this block. Follow that Image block by other blocks. I also discovered you can't insert an image from a relative URL in Gutenberg. Media Library always provides full URL of the image. After the image is inserted, switch from Visual Editor to Code Editor, and edit src attribute of img element to use a relative URL. Not the answer you're looking for? 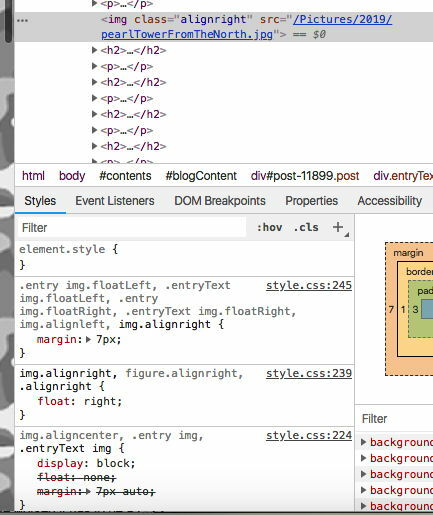 Browse other questions tagged theme-development images css block-editor or ask your own question. Replacing Gutenberg Featured Image control? Are there Gutenberg container blocks?